What is exactly going on for 2018? Well here is something strange, an actual post. Now I know that there hasnt been a real review or any articles since the end of november and thats sort of because I have gotten burnt out a bit on trying to keep up on the site. This doesn’t ,mean the site is going away by any means. However, there needs to be some major changes and this stem from my reviews mainly. This year I am going to focus more on older releases and things like that. It also stem from the fact that I feel I have been writing the same reviews over and over as well so this year will be more on not more obscure albums but the keyword is different. AOR, more somber Hard Rock and straight rock music will be more strongly represented this year just to give a bit more of a new flavor to the site. Now I will obviously look at new albums from Judas Priest and Saxon as well as a few other hotter albums for the year. the content will also be more spread out over time as well. I hope you all enjoy the slight new take and still enjoy the content presented on Glistening Metal over 2018! 2017 was a fantastic year for Hard Rock and Heavy Metal music. Albums were released left and right this year and as much as I wanted to include every album I heard this year as they mostly had a good level of quality to them, I narrowed it down to twenty. At the bottom I give my short list of honorable mentions of albums you should still check out but here is my top twenty of 2017. -What can I say that I haven’t already said about this album. This to me is as good as a traditional Heavy Metal album can be in 2017. The chemistry between Jarvis, Armand and Dusty cannot be understated and are a trio to be reckoned with. An album nearly forty years in the making and it delivers on all fronts. With Vince Highs rough rock n roll vocals still in tact and the instrumentation being very tight and memorable, this is a modern day NWOBHM classic. This album was my biggest surprise of the year. This album takes the sound of 80’s FM radio AOR and makes a modern classic out of that sound. This was my ideal summertime album and doesn’t have one bad song on it. 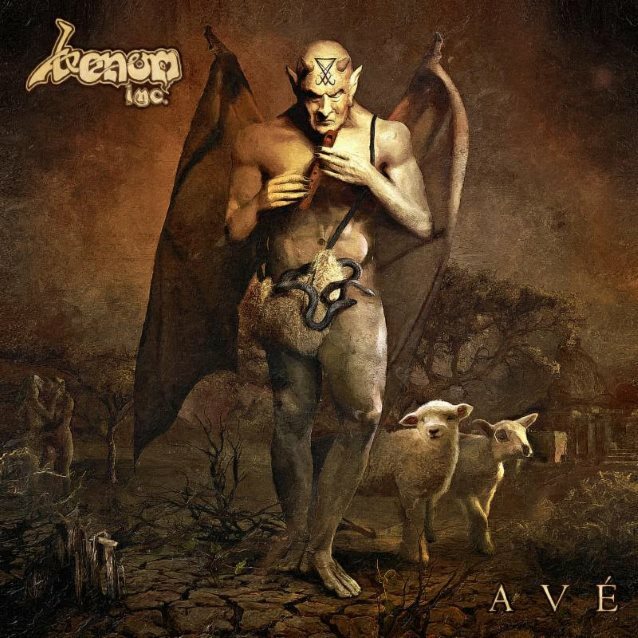 Another modern day Traditional Heavy Metal album that has power and guts. Stallion took the sound from their first album and made it even better somehow. With more speed, progression and just an overall fun atmosphere, this is another album that should be in your stereo! Another excellent Traditional Metal release this year with solid writing with heavy songs and more somber emotional takes as well. Also look for some very cool guest appearances as well! Another long awaited NWOBHM release is the sophomore effort by Tytan. A great fun album with a lot of high points that will leave fans of the band satisfied. Chicago’s own Shokkers first debut and its still a very hot release. The albums has a bit of old school and new school thrown in for a good fun experience. Fans of Y&T and that older Hard Rock style will appreciate this album. Hexx’s long awaited reunion album sort to speak. Alot of great songs are presented here and a very raw and lively production make this a must listen metal album. Jack Starrs Bunring Starr have returned with another fine release to add to their catalog of old school Power Metal. Featuring some nice surprises even with an old outtake of the legendary Rhett Forrester included in one of the songs. And finally, here are just some of my albums I couldnt fit on the list but definitely deserve to heard and recognized. And there are my top albums of the past year. It really was a great year for new artists and fresh releases from the old guard as well. Here’s to a just as good 2018! Ignitor, a band I have not been all too familiar with until recent years with first hearing their 2004 E.P and going on forward. Simply put, they are a band that plays classic Heavy Metal in vein of Manowar or even closer to early 80’s Judas Priest. Now, with a new album and probably one of my favorite album covers of the year, lets see what they bring to the table that perhaps stands apart from the other releases we have seen throughout the year. From the first second, the album starts off with the crunchy “To Brave The War” which damn as a first impression is really a good song to start the album off with. It has some faster paced segments that really caught me off guard on first listen and are border line speed metal. It definitely is a song meant to be played live. The title track just screams classic metal a la Priest around 83-84 with some heavy palm muting in there as well. The band play very tight on this album and have a good set groove throughout especially on songs like “Heavy is the Head that Wears the Crown” with some more almost subtle power metal segments and one of my favorites the heavy grooving “Leather Forever”. The album does keep it relatively fresh balancing the mid tempo songs along with the more speed metal segments throughout rather well. T=However, the band really kick into overdrive within the last two songs “Throw Them from a Cliff” and “Hung Drawn and Quartered”. They give more of that epic fist pumping metal tone through these two songs and it ends the album on a very high note. Overall, this album gets a solid 8 out of 10. Besides a few quirks in the production that seem to drown out the vocals, the album does what it means to do relatively well. It delivers the structure of classic Heavy Metal in its more straightforward primal form however it captures a bit more of a modern sound that I think fans of more modern sounding metal acts could appreciate as well. It is definitely an album that is meant to be played driving at 90 miles an hour. Like many others, it doesn’t reinvent the wheel in any way, but it reminds us that Heavy Metal is suppose to be high energy fun music and these guys do it well in the modern day. 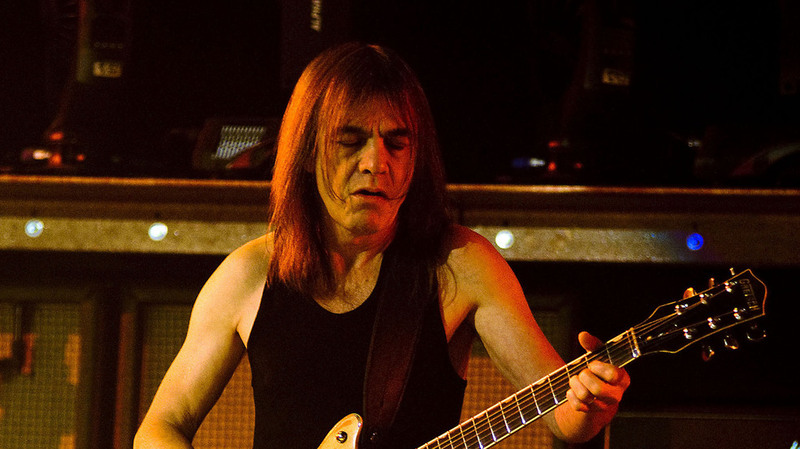 Rock In Peace Malcolm Young…. Its around nine or ten at night. Your 9 year old self is flipping through the channels until you land on a VH1 Classic block of rock videos. A video for ACDC’s “Hells Bells” comes on and you are immediately intrigued. A hard rocking band embraces a dark lit stage with ecstatic Schoolboy guitarist Angus Young and Beanie wearing Brian Johnson commanding front and center. However on the back line with a bright white Gretsch Falcon thumping his one leg to the beat was the long haired almost Ramones-esque looking Malcolm Young. As somber as he was, his presence always intrigued me. He would sit and bounce to the beat of the song and walk up with the equally solid rhythmic Cliff Williams for simple sounding back up vocals only to return right back to the back line of the stage. it was almost as if he was a machine playing to the song. This was my first taste of ever watching any live footage of this band in my life. I was familiar with them of course with hearing “Back In Black” very early in my youth but seeing how they were in a live sense was awe inspiring. We’ll miss you Mal, the music is forever here and we’ll always remember you as one of the most solid rhythm guitarist to grace the earth. Rock In Peace from a true fan. With the holidays approaching or in some eyes already here, some have noticed a slow down on my site. Dont worry, im not hanging it up however yes I have been spending less time writing reviews and such more or less because of work and family and personal life that has been both positive and negative. However, I am here to basically give a little update on what exactly is coming soon here in the next coming months. -I have a few reviews for the bands Resistance, Toxik, Road Rash and a double review of the Heaven and Hell Records releases of the Ask For A Stranger and White Boy and Average Rat Band albums(that name will never not be a mouth full). -I am already starting to work on my top 30 list for the year which could sprout into a top 50 but I am trying to make sure it is not but there were releases left and right this year so it will definitely be a big list. -In terms of plans for next year i am going to do besides the normal reviews, two band retrospectives. One will be on the Heavy Load reissues as they come out and simultaneously I will be looking at every Riot album which could take up the whole year but I am going to try and make sure it doesn’t and only leads up to a possible new Riot V album(depending on when it is released, the reviews may not be in order). -I want interviews to become a bigger factor here in 2018. I was only able to fit in two this year which is a shame and I hope to fit in more next year as well. Also, Legions of Metal will once again be a large article but a bit simplified and broken up into days as well as Frost and Fire 2018 if it happens and I am able to secure funds for it. So far, that is what I have going for next year. A but ambitious but I am confident it will be worth it. Thank you for the support up to this point. With you guys the site will roll on. I don’t think any album title this year pertains to a band quite like Finnish Heavy Metal act OZ’s new full length album “Transition State”. With the band essentially rising from the ashes after a reunion slowly fading away, Original drummer Mark Ruffneck brought together a whole brand new lineup for this album. Now as I’ve seen in the past, sometimes new blood can really ignite an older band with energy and possible more original ideas. We’ve seen this with bands like Diamond Head and Tygers of Pan Tang and damn good results come from them. So how about OZ? With opening track “Bonecrusher”, The band hits hard with a very upbeat fist pounding track. The guitars have that same vintage-esque distortion that was present on early OZ albums with a higher production of course showing the band still has some of their original sound in tact. New vocalist Vince Kojvula definitely shows his worth on this track alone with a ferocious hard rock feel and some impressive high notes. The second track “Restless” continues the more traditional and catchy feel on the album. The chorus of this song is one of my favorites as well. “Heart of a Beast” definitely has a more Power Metal feel and is a bit of a different pace compared to the first two songs but is well written along with “Drag You To Hell” having a similar style. One of my favorite tracks on the album “The Witch” definitely has some of the most energetic segments on the album and some of the more infectious riffs present as well. The only issue I have with parts of the album is that it seems a bit inconsistent. It isn’t a major album ruiner but with Melodic more hard rocking songs mixed with full out heavy metal songs makes it unfortunately lose a bit of identity with the abundance of many ideas coming out on each song. Also, I found it strange how there was a bonus track inserted in the middle of the album I didn’t understand why it was exactly there instead of with the extra tracks on the tail end of the album. However, the tail end of the album does have it’s standouts like “In a Shadow of a Shotgun” and the more emotionally toned “The Mountain”. It is songs like these that show the album although a bit at a cross roads at what it exactly wants to be, is still a fun time to be had. Overall, I give this album a solid 7.5 out of 10. 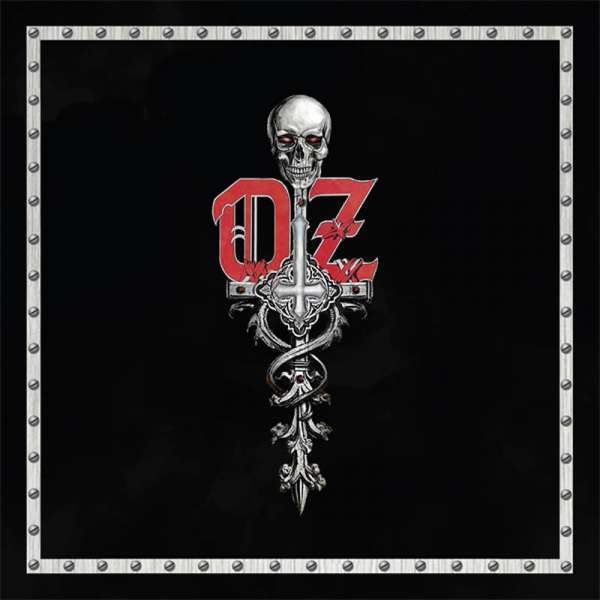 Although it is nice to see OZ return in an energetic and fresh way, this album shows the band still gelling with new ideas balanced with the core sound that makes OZ still stand a part from the rest. As this is the bands first album with original songs since 1991, it is understandable that the album isn’t as solid as some had hope with some more generic songs unfortunately being toward the middle. However, with a few bumps the road becomes smooth again with some high energy and more monumental songs toward the end of the album that still show even though most are new faces, they are keeping the band alive and hopefully continue to do so.